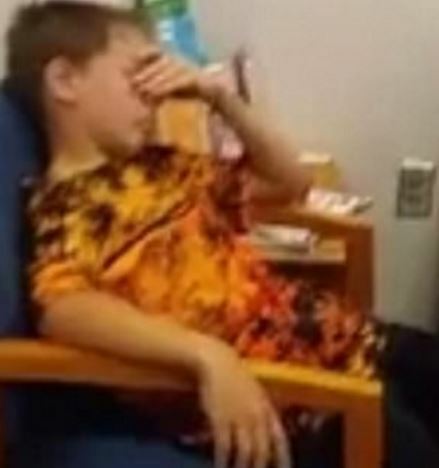 Back in November 2016, an autistic 10-year-old was suspended when he hit one of his teachers. Six months later and the child, John Benji Haywood, was handcuffed and arrested by police out of nowhere. John was walking into school for a test but randomly, a police officer who recognised his face, decided to arrest him and take him to the station, reports The Telegraph. John’s mother, who recorded the incident, was thoroughly shocked and repeatedly asked officers what was happening. Can you tell me what is going on? Or have any paperwork that you can show me? Excuse me? I don’t know what’s going on! He has autism. He doesn’t know what’s going on, he’s scared to death and he’s 10 years old. John himself, who cried throughout the clip, tells the two cops ‘I don’t want to be touched’. It has been district procedure to invite students in to take the Florida Standards Assessment. The district would not invite someone to one of our campuses for the sole purpose to arrest. John, is accused of battery on a school employee and is scheduled to appear in court on May 11.